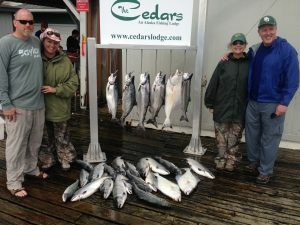 Our fishing packages are designed for those wanting the ultimate Alaskan sport-fishing adventure! 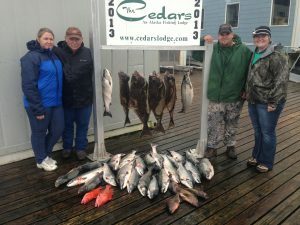 You will be staying in a beautiful ocean-view vacation rental that includes a fully outfitted kitchen, accommodations for 4-6 people and a breathtaking view of Tongass Narrows. 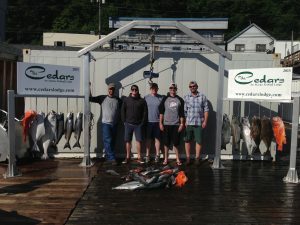 Your vacation rental will be supplied with a continental breakfast for each day of your trip and your dinners will be provided by one of Ketchikan’s fine restaurants. Package prices are per person and based on a 4 person minimum. We have multiple boats and vacation rentals available so we can easily accommodate any size group that you want to bring to our wonderful city. 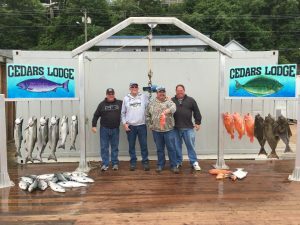 -Rods/reels and all the fishing tackle to catch the big ones!